What kinds of productions do you work on most? All my work is episodic television. Well, 99 percent of my work! What VELVETs do you typically use? I own 3 of the Mini 3s and one Mini 2. I’ll get second one soon. And then two Mini 1s. And I use the Power 2x2s – a lot. I started using them first as spacelights, and then I put one on the ground, and the power for the size kind of blew me away. 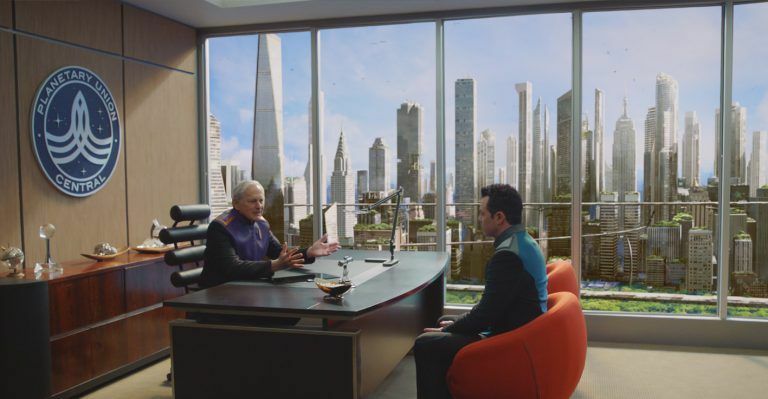 When I started The Orville (FOX), I had about 16 of them. Originally, I stuck them up high to punch through these muslin ceiling pieces we had, because I needed bicolor ambience. What are some of the standard ways you use VELVETS? You know. . .wait. . .you know, I use them for everything. I use the crap out of these lights. I use them all day long, constantly. I use the Mini 2 and 3 a lot as a key and fill. I’d use them a lot with close-ups because of that directional but soft side-wrap. I might have a bigger LED source through a 12×12 or 8×8, and then I use the Minis to wrap around. I would take two to punch through an 8×8 full grid diffusion. I started pushing them through windows too. I was so amazed at the punch, the effectiveness for the wattage that we had. The fact I could just run a stinger to them was so valuable on set. Do you use VELVETS in sensitive situations, such as actors’ closeups? The first show I used them on was called Playing House (USA Network). 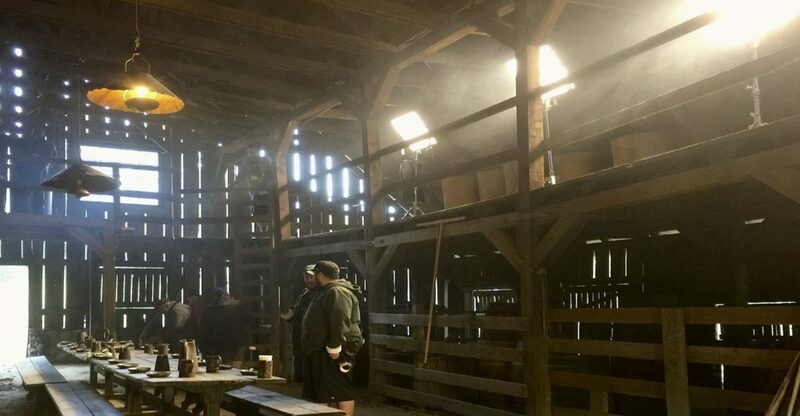 It was a half-hour single-camera comedy, and we lit each shot for natural lighting. I used a Mini 3 with a Snapbag a lot as a key light/closeup light for the actresses, and then a Mini 2 to make the wrap. Batteries! You can put the VELVETs anywhere, because of the battery. VELVET has really pushed the watt-to-lumen ratio. Sometimes on Playing House I hung one as a backlight because of the low profile and battery capability. Even on stage where I had power and green beds it was still useful. 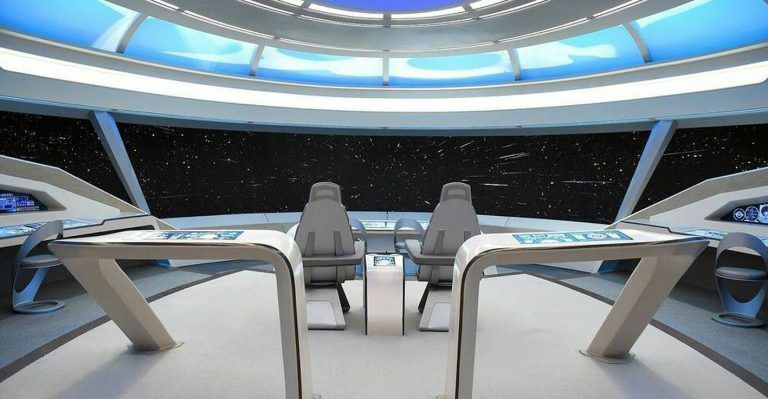 On The Orville we don’t have room to set flags and all that stuff on a lot of the sets, but in particular on the main bridge. We often see the entire bridge. It just wasn’t designed to make it easy to run power to any spots to hang lights. There’s a low ceiling and no grid. 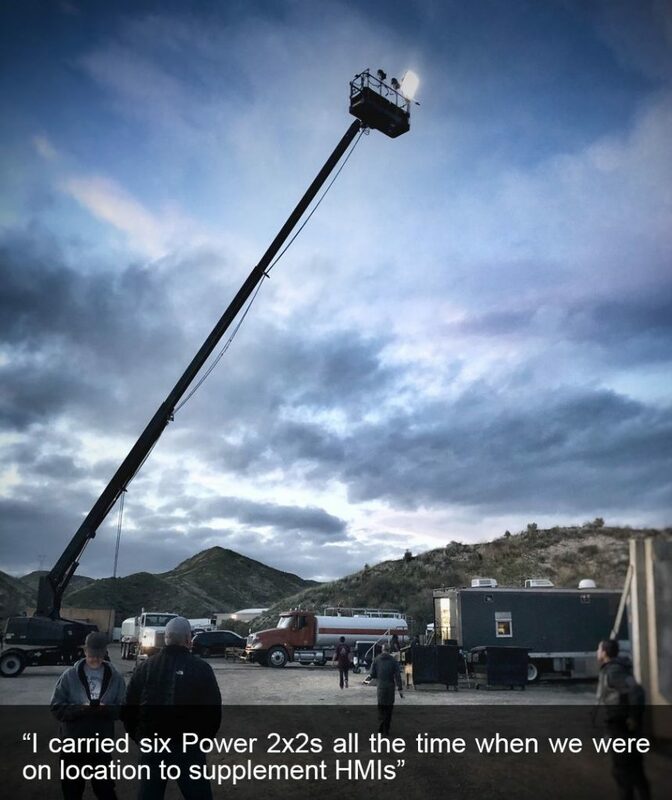 Before we would use Kinos, but we would still have to find a way to run power. With batteries, it was a no-brainer. Have VELVETS made your job easier and faster? How? The Velvets are quick and easy to program. You hook it up a wireless receiver, and with a battery you are good to go. How have the people you work with accepted VELVETS? People have not heard of them or seen them, and me using them has been the intro, and the response has been very positive. 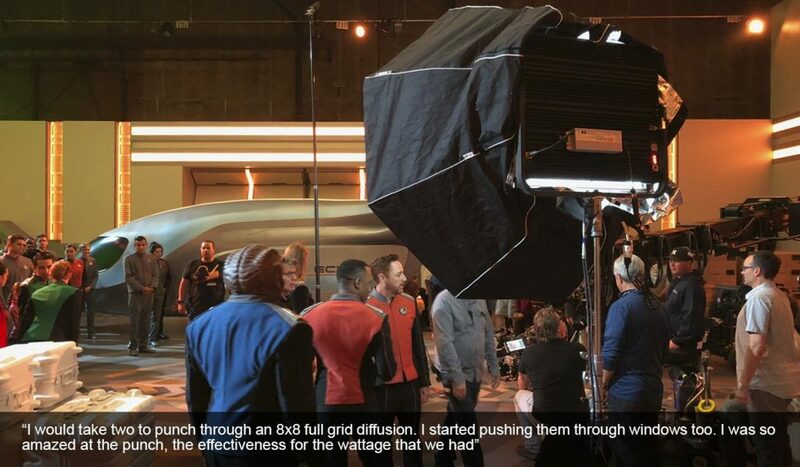 The DP on The Orville, Marvin Rush, always requested the Power 2x2s, once we started using them and he saw what they could do. As well as the Minis, for what they could do for their size, running off battery power. 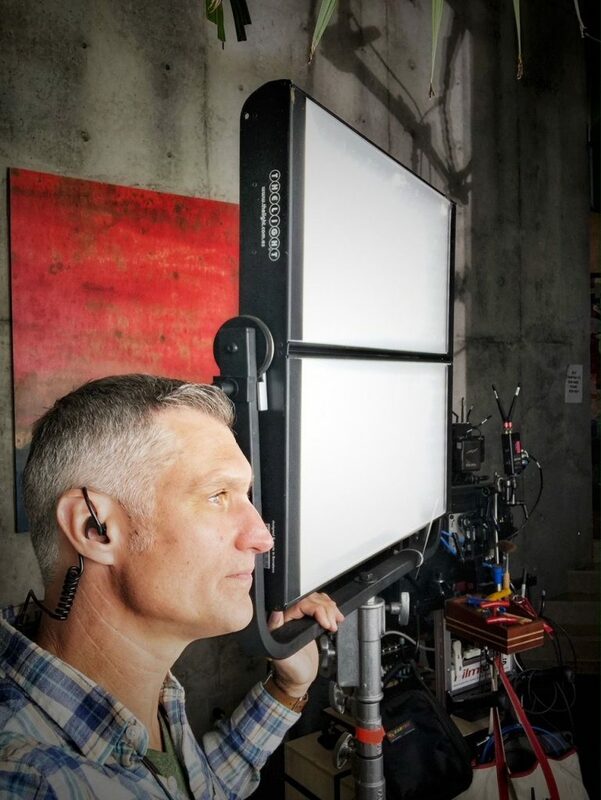 He’d say: “Make sure you have those lights!” Later he said, “I don’t think we could do this show without those lights.” On Playing House (USA Network) I used them with DP Mark Doering-Powell. Mark was a fan of them immediately. And I’ve had no resistance from production companies. In this day and age, there are so many LEDs out there, and so many preferences. They’re getting used to that. How have you blended VELVETS with HMIs, tungsten, fluorescent and daylight? I haven’t really had a problem with blending them. I haven’t had any high-speed problems. Sometimes I take two Minis into a sunlit room on batteries for fill. And I’d need just one person to run in and turn them on. I owned HMIs for a little bit, and there is a constant dealing with repairs and the problems you have. I worked on first season of Hawaii 5-0, and it was a nightmare. I can’t wait until they are gone. I think the Power 2x2s are the beginning of that. The Power 2x2s are pretty close to replacing Arri M18s sometimes. Maybe they’re more like an HMI 1200 par. I would use the Power 2×2 to push through a window because of their bicolor capability. It was really nice. 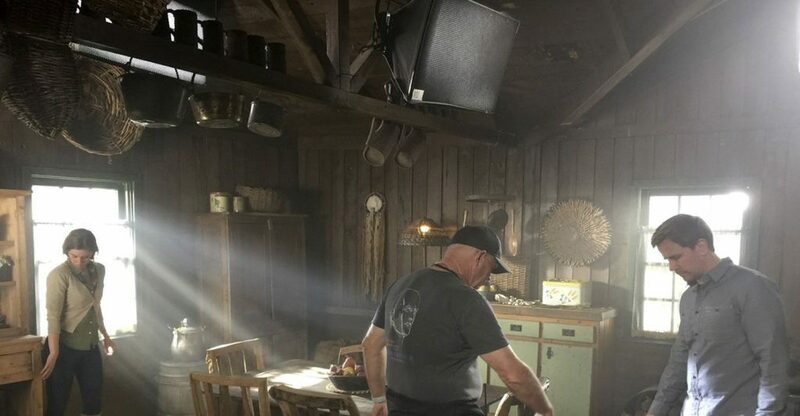 There was a little sourceiness, and it created this nice pattern on the cabinets of the set. I go through a quarter of the gels I used to. And on location, I was able to fit one under a wood awning, no problem with heat. What’s the most unusual use of a VELVET you have come up with? 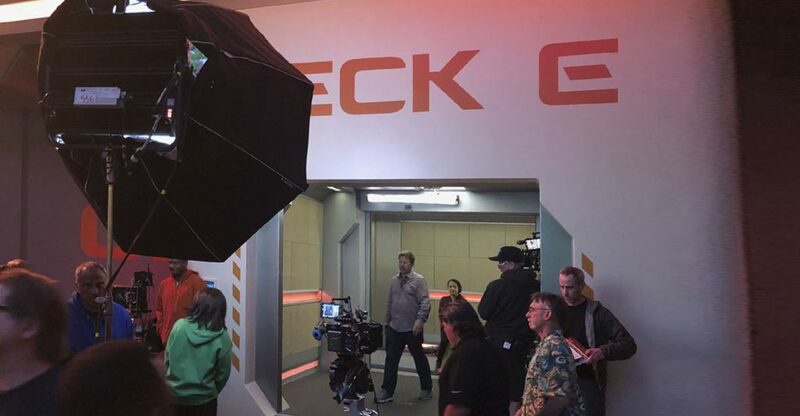 Toward the end of The Orville, I took two Power 2x2s and put them up in a condor for a little bit of moon ambient backlight. I had them at 5600 full power on an 80-foot condor at full stick. We used an HMI as well because the shot was so wide, but I think in the future I would use 4 or 6 of them and run them across the basket. 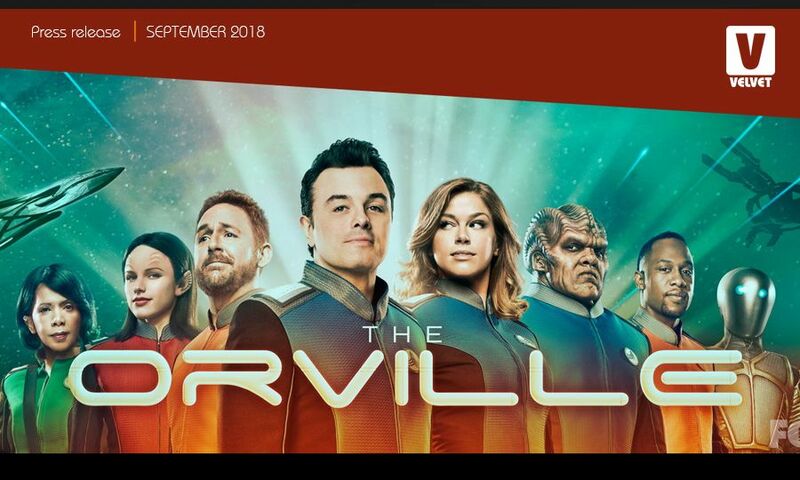 I’m hoping to try that when Orville starts up again. I’ve used especially the Mini 1s as light sources in the shot. We can either hide them well, or they sell as a practical light source in an alley with a little sodium vapor gel. I’ve even used them to mimic fluorescent fixtures hanging straight down with the grids in. I’ve used the Power 2×2 on the ground as a fire source. On the dimmer board we had a flicker effect. 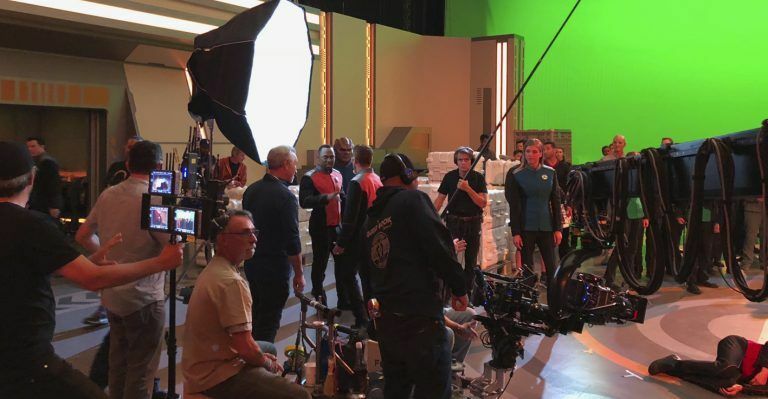 On Orville we shot an exploding spaceship engine core, and we had smoke and two Velvets. I could lay them almost flat, and hide them from camera, but they had some punch, and in the background it looked like this big fire going on. What can you see doing with VELVETs in the future? I look forward to having plus and minus green. Sometimes I want to match a parking garage, or some place with fluorescents. That would be a huge value. And RGB capability. RGB is great, but I don’t think you always need it. 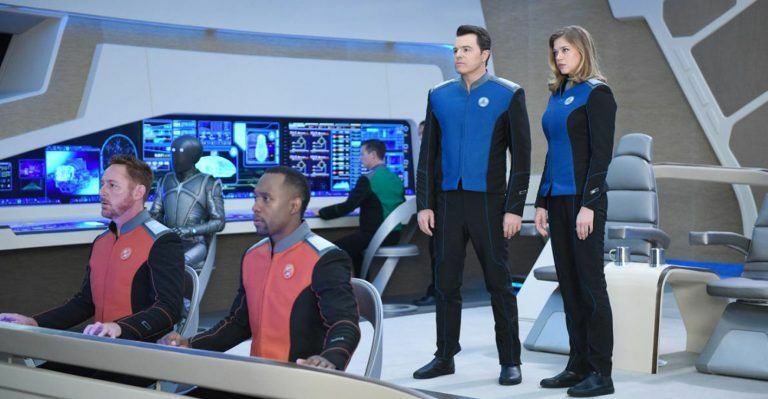 On Orville I need RGB.